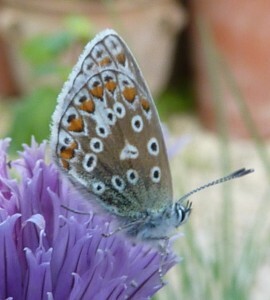 There seem to be an awful lot of butterflies around the garden at the moment. Mostly it’s white things fluttering around the nasturtiums but we’ve spotted the occasional more interesting butterfly. Or moth. 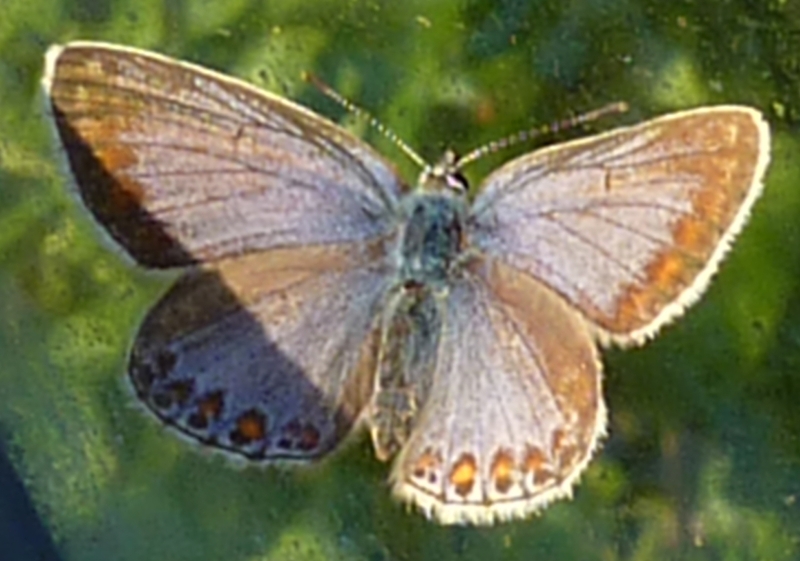 I’m not even sure what the difference between butterflies and moths is, so no hope of working out the species! 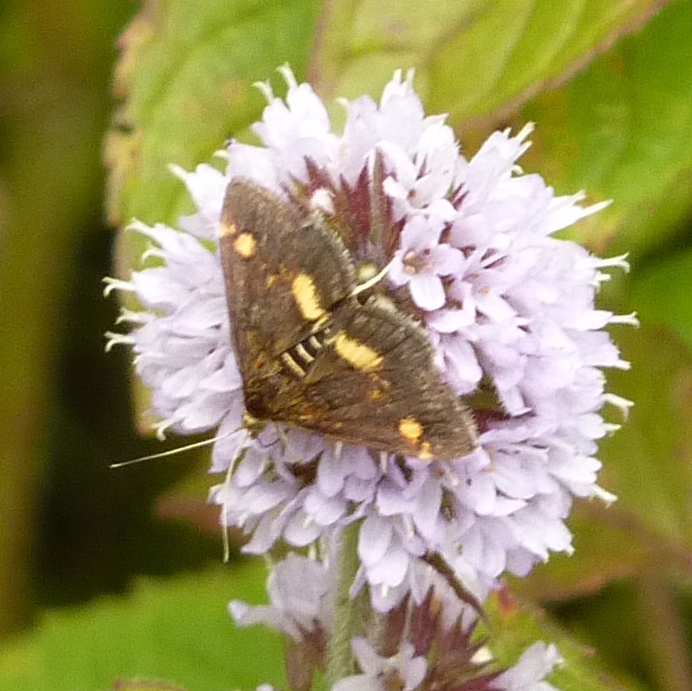 This little beastie was on the water mint in the pond the other day. And this evening Sophie went out to get some chives for supper and spotted a tiny little blue butterfly. If anyone can tell us what they are I’d love to know.